The first name that pops up when thinking about theatre is ‘Broadway'. 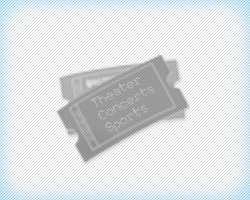 In recent past, Broadway shows have gained immense popularity and the Broadway theatre has become a household name. The theatrical performances taking place in forty theatres across Manhattan District have made record sales several times. Broadway theatres are known to be the most successful theatres commercially, not just in United States but in the entire English-speaking world. In fact the Broadway Theatre District in New York City has become a very popular tourist attraction as well. Broadway theatres were not introduced in Manhattan. Its history actually traces back to 1750 in New York City. The two actor-managers in the city at that time, Walter Murray and Thomas Kean went on to establish a theatre company. Although the operations of this newly formed theatre company were halted because of the Revolutionary War, the company survived and started operating again in 1798. From then on, the next seventy years saw a number of theaters spring up like mushrooms. By the latter half of the nineteenth century, the heart of Broadway was situated in Union Square, and by the end of the century most theatres were established in Madison Square. It was not until 1900s that Times Square saw the arrival of Broadway theatres, but by the thirties there were a large number of theatres in the area. Although the twenties also introduced motion pictures, which presented a lot of competition for theatres, Broadway theatres were still able to maintain and even expand their popularity throughout this time. Sixties and seventies decades did present some bumps in the road for Broadway but nothing affected the theatres for a long period and they were able to continue their journey towards success. The Broadway shows today are presented in a wide variety, incorporating diverse themes and subjects and targeted towards various age groups. From small kids to teenagers to young and old, everyone has plays to choose from. Similar diversity is available in the choice of subjects, from romance to tragedy, satire to mystery and fiction to history, a wide variety of themes are available for the theatre lovers to make a choice. Theatre fans ought to keep an eye out for the new shows and get Broadway tickets as soon as possible. Another variation of Broadway theatre is known as ‘Off-Broadway'. The shows that are presented outside the given venues of Broadway but under their title are called Off-Broadway. They differ on several fronts, including production budgets and audience turnover. However, some of the Off-Broadway shows have been transferred onto Broadway, depending on the final quality and response of the attendees. Some of the evergreen shows presented by Broadway are Wicked, Phantom of the Opera, The Lion King and Hair Spray among many others. These shows are still running and show no ‘signs of slowing down anytime soon. ‘Wicked' is an all time favorite and a delight for the entire family irrespective of age. The award winning musical is an interesting shade of comedy blended with mystery. An adaptation of ‘The Wizard of Oz', this play provides an unforgettable theatre experience lasting 165 minutes. ‘Phantom of the Opera' is another irresistible attraction of Broadway theatres. With a twenty years record of being on theatres this is one of the longest running shows. Enveloping into curiosity and thrilling audiences at every turn of the story, this play is a phenomenal piece of live theatre performance. ‘The Lion King' is one of the most popular shows of Broadway. It is the first ever theatre performance purely intended for children, although the story is equally attractive to grownups. With small bits of tragedy and happiness enveloped into lessons of determination and hard-work, The Lion King is as great a learning experience as it is entertainment. Several other shows have also held their ground for quit a few years; Chicago, The Book of Mormon, Matilda and Forever Tango are some of the examples from a pool of many. Broadway theatres have established their reputation as quality entertainment, and theatre goers have shown their trust by buying large number of Broadway tickets over the years.